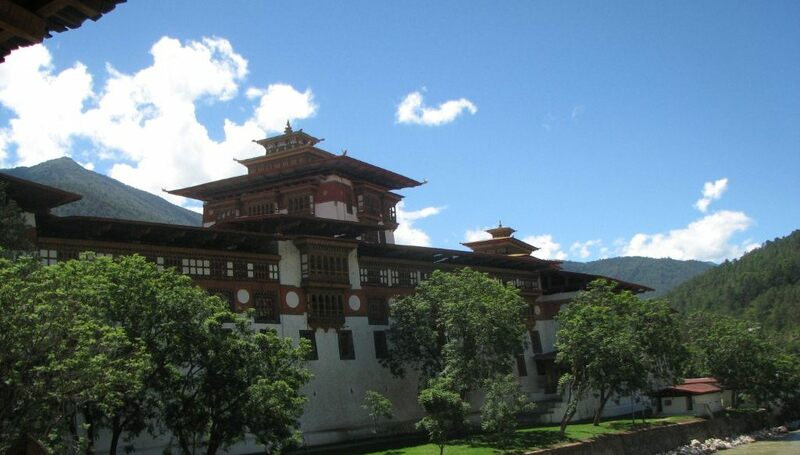 You certainly don’t need to be a textiles nut to appreciate beautiful Bhutan with its scenery, history, architecture and its unique culture will amaze anyone with a a sense of adventure and a desire to see this amazing country and its traditions. Textiles have been a form of currency and tax in this remote land for centuries and remain a key feature of daily life where a government declared national dress for men and women still exists and where fabric lengths are given as prized gifts for all occasions. In a land where women weave and men sew - you will experience the majestic dzongs and history of this remote land and have the opportunity to meet with local artisans. 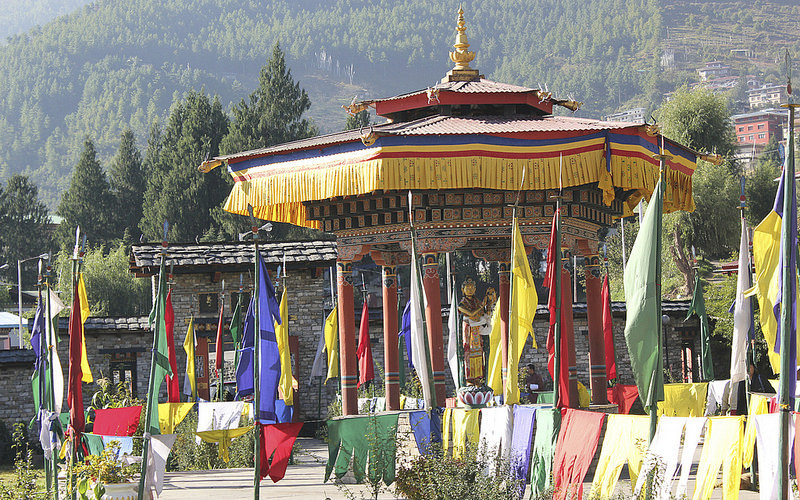 Explore the remote villages of Khoma (famous for the exquisite silk on silk Kushethara's), Radhi (known for its beautiful raw silk weaving), Bumthang valley (known for its unique yathra wools), Beling (a village where ancient nettle weaving is still practiced). Day 1: You travel from Guawahati in the Indian state of Assam by road to the bustling town of Samdrup Jongkhar in Eastern Bhutan. Day 2: Today you drive from Samdrup Jongkhar to Trashigang. You break our journey with a visit to the tiny village of Khaling, home of the National Handloom Centre. Day 3: This morning you drive east to Radi village famous for producing beautiful patterned fabrics or “aikapur” and raw silk “ bura. You spend the day interacting with the local weavers in their homes and local centres. Day 4: You spend the morning with the weavers before heading back to Trashigang where you visit the Trashigang Dzong. Day 5: Today you descend into the valley of the Kuri Chhu before climbing back up to Mongar. Day 6: This morning you leave Mongar and drive north to the town of Lhuntse and onward to the traditional weaving village of Khoma. This village produces the most sought after of all Bhutanese textiles called Kushutara. Almost all the 30 houses in this small village have back-strap looms that they use to create this incredibly fine silk fabric. This afternoon return to Autsho. Day 7: Known as one of the most picturesque dzongs in all of Bhutan we explore the dzong in Lhuntse before we start our drive back down to Mongar. Day 8: This morning we start a long day of driving toward the Bumthang Valley. Although a long and curving road the drive between Bumthang and Mongar is one of the most spectacular in the country. We break our journey with a visit to the traditional village of Ura which is believed by some to have been the home of Bhutan’s earliest inhabitants. Day 9: Today we will visit textile villages and workshops to learn about the local techniques for weaving, dyeing and embellishing fabrics. Day 10: Today we continue our journey into the central Bumthang Valleys of Bhutan which are renowned for their hand-woven woollen fabrics with bright geometric patterns called yathra. Along the way we stop at the Centre of Yathra Weaving in Zugney. Day 11: Today we take a day trip to the remote Beling village which still practices the ancient art of nettle weaving. Day 12: Arriving into the valley we visit Chimi Lhakhang, and the dramatic Punakha Dzong, This is Bhutan’s most spectacular Dzong. Day 13: This morning we drive to Thimphu, Bhutan’s quirky capital, via Dochu La (Pass). On our way to we make a stop to visit an embroidery workshop. This afternoon we visit the National Textile Museum where we can see the history of textiles including some of the textile arts unique to Bhutan. Day 14: This morning we visit the vibrant weekend produce and handicraft market of Thimpu and the Zorig Chusum – the National Centre of the 13 Arts of Bhutan. Day 15: Thimpu to Paro Valley: This morning there is an option to take a hike to the Taktsang Monastery (Tiger’s Nest 3000 ft above the valley floor). Day 16: Paro Valley/ Your tour finishes this morning after breakfast for your transfer to the Paro Airport for your flight. Cost: From $4900 - Pricing will be dependent on month of travel with a minimum of 2 persons travelling. 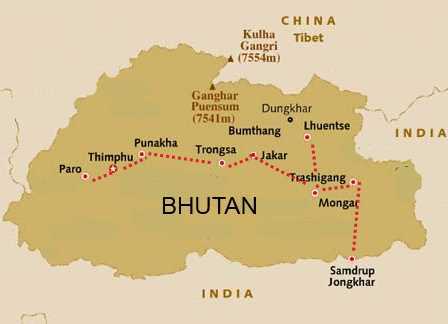 Note this tour is run by our friends at Bhutan and Beyond and is not escorted by us.